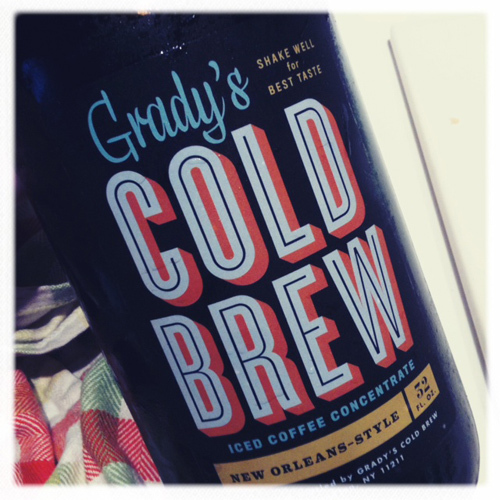 The Grady’s Cold Brew stand caught my eye at the recent Smorgasburg. While there are plenty of great local iced coffee options, there is something nice, and more affordable about making a cup at home. I was pleasantly surprised that this concentrate is as yummy as any good cheap cup of coffee you can find and for $15 it lasts two weeks (well, maybe less than that if you drinks lots of coffee). Locally, at Brooklyn Kitchen and Urban Rustic, you can return your growler for cash off your next one.